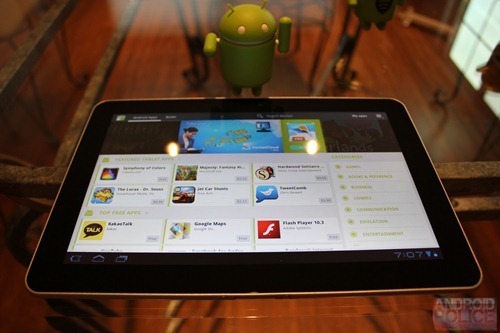 Android's hottest new tablet - the Samsung Galaxy Tab 10.1 - is now available for pre-order at Best Buy. As we've heard before, New Yorkers have an especially sweet deal: Best Buy will be opening up sales today at noon at their Union Square store, and the first 200 purchasers will also get a free leather pouch. For the rest of us, the Tab is slated to go on sale on June 17. In addition, the Tab 10.1 will pack Samsung's new TouchWiz 4/UX skin. While the thought of a custom skin might make people cringe, it may not be so bad. Contemplating the purchase? Perhaps Artem's deep-dive review can help you make up your mind. Alternatively, head straight to the source link to check out the product listings and order it.